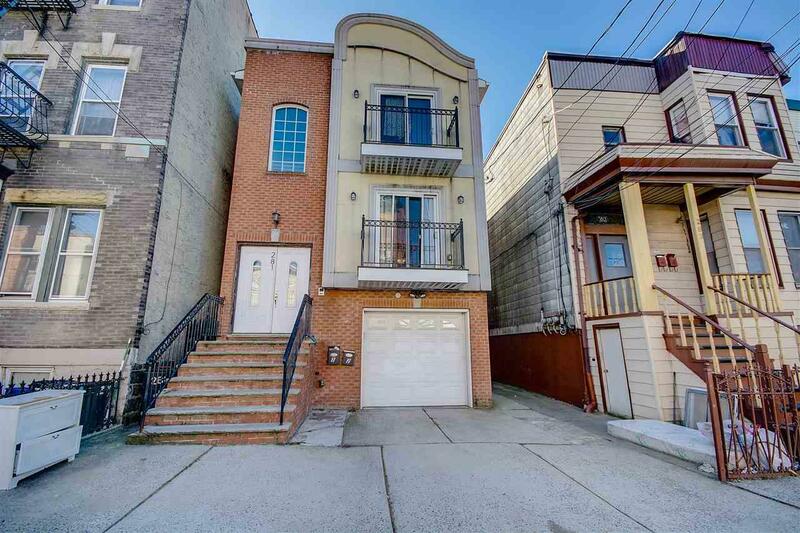 Make this your home and own a part of Jersey City Heights with this renovated 4 bedroom, 3 bathroom duplex. The main floor highlights include a spacious living room with balcony, open kitchen with plenty of countertop space and SS appliances, and 3 spacious bedrooms. The master suite is bright and airy with en-suite bathroom with windows overlooking the backyard. The ground floor walk-out unit features a flex space that can be used as another bedroom or in-law suite as it includes a separate entrance, own full bathroom, and access to the shared backyard. Additional highlights include fresh paint throughout, gleaming hardwood floors, central heating & AC, in-unit washer & dryer, and deep 2 car garage plus private driveway. Great location with just a block from JFK boulevard with buses to Port Authority NYC & Journal Square PATH. Close proximity to trendy new establishments such as The Hutton bar and Summit & Central avenue for plenty of dining, groceries, and shopping.